“We live here, my girl, because it is close to the Way, and echoes of its magic are felt in our world. The Way is a path leading to another place, where the people are governed by different rules. Magic runs through them and their land.” With her boundless curiosity and wild spirit, Fer has always felt that she doesn’t belong. Not when the forest is calling to her, when the rush of wind through branches feels more real than school or the quiet farms near her house. Then she saves an injured creature - he looks like a boy, but he’s really something else. A Pleasure for My Daughter and I! When is the 2nd book coming out? The Invisible Order is the first book in an amazing new series by Paul Crilley, skillfully narrated by Katherine Kellgren. Emily Snow is twelve years old, supporting herself and her younger brother on the streets of Victorian England by selling watercress. One early winter morning on her way to buy supplies, she encounters a piskie—a small but very sarcastic fey creature that has been cornered by a group of the Black Sidhe, piskies from an opposing clan. In a city that runs on a dwindling supply of magic, a young boy is drawn into a life of wizardry and adventure. Conn should have dropped dead the day he picked Nevery's pocket and touched the wizard's locus magicalicus, a stone used to focus magic and work spells. But for some reason he did not. Nevery finds that interesting, and he takes Conn as his apprentice on the provision that the boy find a locus stone of his own. 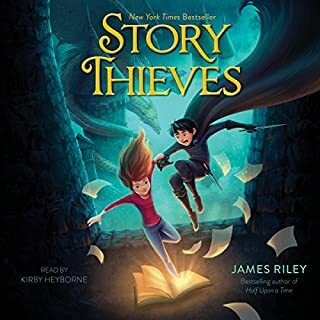 But Conn has little time to search for his stone between wizard lessons and helping Nevery discover who - or what - is stealing the city of Wellmet's magic. 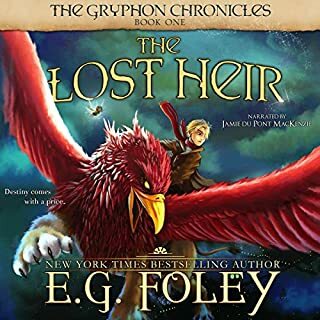 Listen to the sequel, The Magic Thief: Lost. I absolutely adored this middle grade fantasy by Prineas. I also loved Prineas's Winterling series which is why I originally picked this book up. This book was even better than the Winterling books, it was so magical and just so much fun to read. 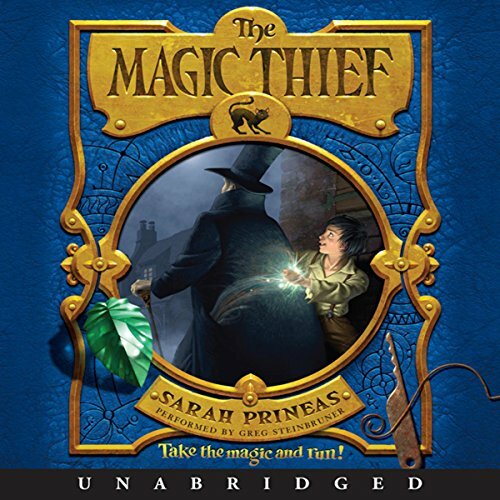 I listened to The Magic Thief on Audiobook and it was very very well done. The narrator sounded exactly like I imagined Conn would sound. The narrator did all the other character voices really well too. 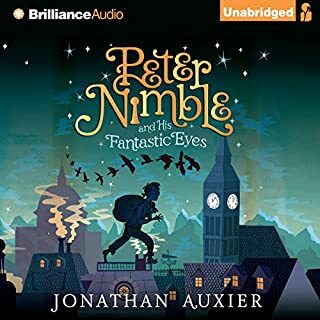 I would highly recommend listening to this on audiobook if you enjoy audiobooks. I really think the absolutely wonderful narration was part of the reason I loved this book so much. Conn is a master lockpick and thief whose main concerns are dodging the ruler of Twilight, Crow, and just trying to survive day to day. That is until he picks the wrong pocket, the pocket of an old wizard named Nevery. Conn accidentally stole Nevery’s magicalicus (a magic stone that should kill anyone who touches it outside of the wizard it belongs to). However the magicalicus didn’t kill Conn and Nevery decides to investigate this further and take Conn on as his apprentice. Nevery is in Wellmet to figure out why the amount of magic in the town is declining. The story starts at a fast pace and never slows down. It's very entertaining, well written and well paced. A big part of what makes this novel wonderful is the plucky protagonist Conn who is just such an optimist. Even when faced with hard situations he just picks himself up and soldiers through. I loved his candid way of thinking and talking and the way he just assumes that most people are good people (despite his background). I also loved the magic throughout and the mystery behind why magic was leaving the city. There are also a lot of interesting steampunk devices throughout and there is a lot of magic combined with science kind of explanations that I enjoyed. This was just a super fun read that just made me feel at happy while I was reading it. Nothing super horrible happens, but there's a good mystery, lots of fun, and lots of quirky characters (who at first seem gruff) but end up really caring about each other. Overall I just loved this book to pieces and will definitely be reading the next in the series! I highly recommend this novel to fantasy readers of all ages. It is one I will definitely be reading with my seven year old son. The story isn’t super complicated but the magic system and mystery are interesting enough that I think that the story would hold the interest of adult readers as well. 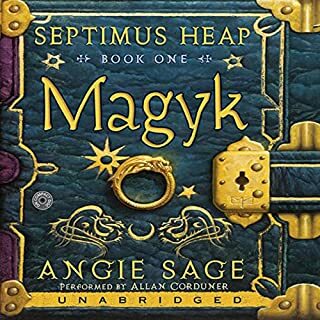 Would you listen to The Magic Thief again? Why? What was one of the most memorable moments of The Magic Thief? I liked when he tried to steal his locus malicalicus. Which character – as performed by Greg Steinbruner – was your favorite? Rowan, the girl and also the main character. 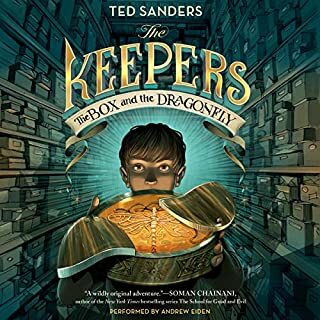 The narrator's dialect didn't fit the young main character's background in my opinion but it was still an entertaining story for a younger audience. Good for grade 3 or 4 students I think. Both the writing and the performance are lacking in this book. After three hours my kids didn't want to hear anymore. If there is a story in there, its well hidden. The performance sounds like a librivox recording, well meaning but uninteresting. I really like this story, I like the plot of the story through all the books in the series. 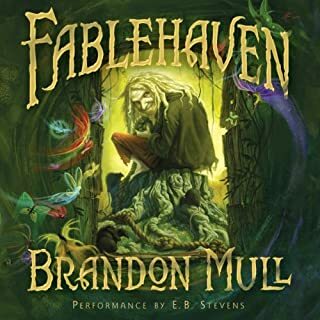 I think if you have your children listen to this they would like it, if you like this book then you might like the Michael Vey, Fablehaven, or the griffin chronicles. Sarah Prineas has written a lovely, light story than brims with charm and thrills. Conware, the main protag., is a low street urchin with big plans for his future as a wizard. The problem he has is convincing everyone else. The author does a great job keeping the interest and excitement of the reader. This story will entertain adventure readers of every age. Really enjoyed the story once it got going. We found the start a bit slow but perseverance paid off. Really liked the characters. Good for family listening.